This is a coppery shade that shimmers coppery bronze when the light shines on it, but it is not opaque, so it goes on clear and can be built up to be more intense. This is a universally flattering shade, ideal for all skin tones. This is packaged in a cardboard tube, but can be made in glass jar, just leave a note at checkout. I am no longer stocking plastic lip balm tubes. I was at a local health-food store and perusing the natural makeup section. Everyone and their Momma has loose pigment and shimmer, but I was having trouble finding a shimmer balm that was both pretty and wouldn't clog my pores or fly all over the bathroom. I have super sensitive skin, so oils like Virgin Coconut + Sweet Almond + Cocoa Butter + Evening Primrose and many others clog my pores. So, I came home and got to mixing. There is something so magical about the swirling pool of shimmer in the beaker before I pour it into sticks. It makes me feel like I am in a potions class in a school of magic. This is one of those products that came from my own need. I wanted a balm with shimmer that really translated on the skin. I love a shimmering body oil and serum for a dewy glow, but I wanted some serious shimmer. I also wanted to be able to control the amount of shimmer, so these sticks can be layered to intensify color or can be blended in to lighten. You can even mix colors to get just what you are looking for. This is truly a multi-tasker and can be used anywhere. I love using this on my shoulders and chest. Pretty much if I could coat myself in these, I would. Use as a highlighter + primer + eye shadow! 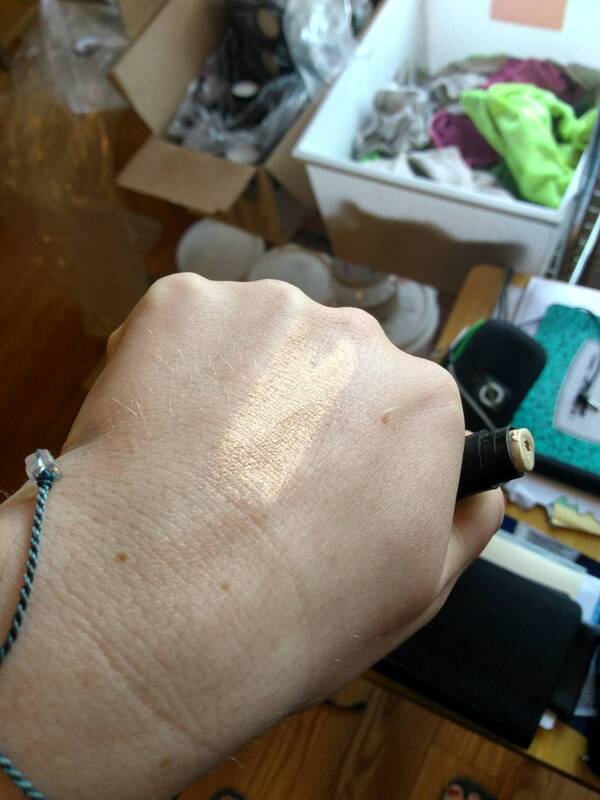 I like to use Ray of Light on the high points of my face and then Rose Quartz on my cheeks. This has become bit of a no-makeup situation for me. I tend to reach for these and mascara over a full face. The base of Organic Hemp Seed Oil + Organic Fractionated Coconut Oil melts easily into the skin leaving you shimmering but never greasy. Packed with antioxidant + anti-inflammatory + skin nourishing benefits. Mica gives you sparkle without glitter that can be used on face + body! Swipe across skin and blend with fingers. Use finger to warm the top of the balm and gently pat onto cheeks + collar bone. Use as a shimmering makeup base by swiping on forehead + cheeks + chin + nose and then blend gently with fingers. Apply lightly as this is an oil based balm. Apply to shoulders + legs + arms.